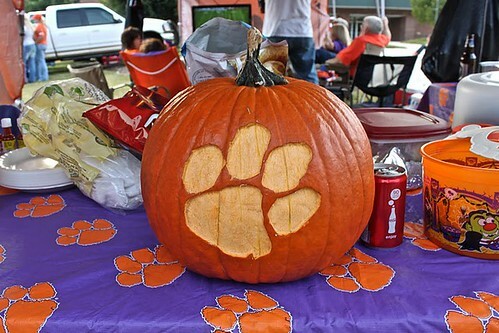 Clemson Girl: Tigers ready to take on the Georgia Tech demon. Clemson vs. GT game prediction. 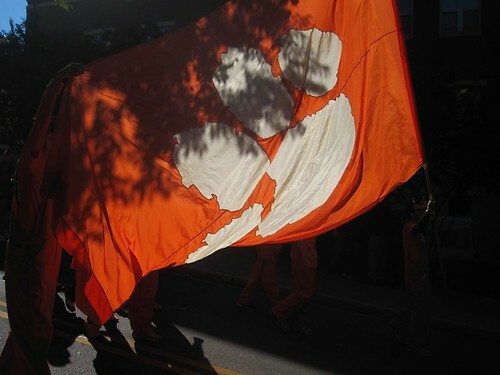 Tigers ready to take on the Georgia Tech demon. Clemson vs. GT game prediction. Clemson has exercised many demons in 2011, but can they do it again in Atlanta? At night? On Homecoming? The Tigers have fended off evil after evil, starting in early September against the reigning national champion Auburn Tigers, beating them in a sold-out Death Valley. Next was the over-hyped Florida State Seminoles and again the Tigers emerged victorious. After going 1-4 on the road in 2010, Clemson took on the fiend that was Virginia Tech and the night game in Lane Stadium. The result - a 23-3 romp of the Hokies. Clemson then returned home to face the always difficult Boston College Eagles and the Tigers continued to take care of business. A week later, Clemson traveled to Maryland and forced the spirit out of Byrd Stadium scoring 35 second half points. Fast forward to Saturday and the Tigers travel to Atlanta - a place Clemson hasn’t won a game since 2001 - and the Tigers look to tackle the pesky Yellow Jackets to improve to 9-0 and essentially ruin Georgia Tech’s Coastal Division hopes. I’m sure Tech head coach Paul Johnson has a few treats in store for Dabo Swinney’s team, but let’s take a look at how the two teams match up. Georgia Tech’s offense put up Playstation-type numbers at the beginning of the season and looked like they could run the table and eventually contend for an ACC Championship, but let’s face it, those numbers have decreased since the Jackets have started playing a slightly more difficult schedule. Tech had 662 yards against Western Carolina, 596 against MTSU, 768 against Kansas and 496 against UNC. Once they got into the meat of their ACC schedule...against N.C. State, they had 413, then 386 against Maryland, 296 against Virginia and just 211 last week against Miami. Georgia Tech quarterback Tevin Washington began the season looking like he was a huge upgrade from last year’s quarterback Joshua Nesbitt, but he has been struggling as of late completing just 48 percent of his passes on the year. He is 45-for-93 for 1139 yards, ten touchdowns and five interceptions. He is, however, their third leading rusher with 460 yards and nine touchdowns. Paul Johnson’s triple-option attack requires opposing defenses to play very disciplined and do their assignments in order to not give up the big play. Clemson defensive coordinator Kevin Steele will depend heavily on his defensive line and linebackers to contain the Georgia Tech running backs and tackle cleanly - both of which Clemson’s defense has had issues with the last couple of weeks. The Clemson secondary will have to stay awake and alert because after Tech runs the ball repeatedly and they think they have the defense sleeping they will hit the long pass to receiver Stephen Hill for a touchdown. Georgia Tech defensive coordinator Al Groh has a much improved defense and his squad is ranked eighth nationally against the pass and 33rd in total defense, but again the question becomes what high octane offenses have they really faced. All of their opponents, except Middle Tennessee State (20th), have been ranked 50th or lower in total offense. Georgia Tech usually employs a 3-4 defense (three defensive linemen and four linebackers), but this will be a new challenge for Groh trying to decide which weapons he needs to focus on - Sammy Watkins, Nuk Hopkins, Dwayne Allen, Jaron Brown, Martavis Bryant, or Brandon Ford? Clemson running back Andre Ellington won’t start this weekend because of an ankle injury, but don’t expect any drop off at the running back position as redshirt freshman D.J. Howard is third on the team with 167 yards, but is averaging 6.7 yards per carry. Freshman Mike Bellamy should also see plenty of playing time and as we saw against Virginia Tech he can make even the best defenses look silly with just one carry. Clemson’s special teams seem to have finally found their groove - minus the UNC kickoff return for a touchdown last week. Kicker Chandler Catanzaro is cruising along making 13-of-16 field goals and has been very consistent on extra points. Punter Dawson Zimmerman has been a game changer as expected averaging 42.7 yards per punt this season. And, welcome to the return game Sammy Watkins, who has now shown that he is a threat to take it back just like his predecessor C.J. Spiller. The 14 of the last 16 meetings between the Tigers and the Yellow Jackets have been decided by an average of 4.6 points, and the Tigers haven’t won in Atlanta since 2001. But, the upper classmen on this team who were around in 2009 when Clemson lost two heartbreakers to Georgia Tech still remember that gut-wrenching feeling of losing on a last minute field goal in the regular season and not making one stop in the ACC Championship Game. They will be ready for the task of stopping the pesky bees and continuing down the road to their next goal - winning the Atlantic. If not for phantom holding calls against the Tigers, Clemson will keep the streak alive.